Turns out Cervantes ended up a pauper. 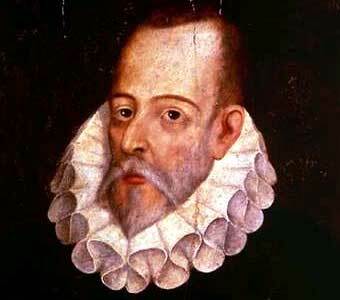 I was listening to the radio in the kitchen the other day, and the NPR announcer was talking about the search for the bones of the great Spanish writer Miguel de Cervantes, author of Don Quixote. Cervantes is very famous now, of course, but the reason why they were searching for him, the announcer went on, is because he died a pauper and was buried in an unmarked grave. I stood at the stove and laughed at the absurdity of it: that this famous writer, thought by some to be the father of the novel, died a pauper and was buried in an unmarked grave. But are writers today doing any better? The writing life has grown to be economically unviable, and a recent piece in Salon.com (http://bit.ly/1zyGUlV) underlines this. Ann Bauer writes about being financially “sponsored” by her husband and the difference this makes in terms of energy and time to write. 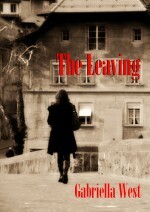 She has seen both sides, since she struggled in the past with work, raising kids, and a divorce. Needless to say, she barely wrote anything at that time in her life. Bauer’s bigger point, which is hard to hear, is that most writers who are successful today have family money, connections, or are subsidized by their spouses. I can’t dispute Bauer’s point, although some indie writers seem to have a slightly easier go of it. Read the comments for some fascinating stories. What is the importance of home for a writer? Besides facing money issues, writers often feel adrift in their surroundings. I wrote a guest post over on Shannon Yarbrough’s blog called “The Dislocated Writer.” It addresses some of the problems of living in an expensive, changed city that I no longer feel connected to, a place where I once felt very much at home. Author of LGBT historical fiction and contemporary romance. This entry was posted in creativity and its discontents, Personal, Writing and tagged Ann Bauer, Cervantes, dislocated, home, money issues, pauper, Salon, the writing life, time to write, unmarked grave. Bookmark the permalink.